On a technical level, there's a lot to be said for Die Hard. It's when we get to some of the unnecessary adornments of the script that the movie shoots itself in the foot. In all likelihood Ebert intended to make a pun, but one wonders whether he did not speak truer than he knew. The film in any event seems to know, since it certainly fetishizes McClane's feet more intensely than almost any other part of his body, including his bare chest. Starting with the Asian-American fellow passenger on the plane, who advised McClane to clench his toes into a fist -Chinese-style, one supposes - the foot references are never far away in this film, with close-ups of bare feet, bleeding soles, bandaged feet dragged across the floor so often focusing the action on McClane's delicate but damaged extremities. But encouraged by Ebert's pat phrase, how can one not think of the name of the mythic hero, and the impediment to which he owed his name: Oedipus, the club-footed? This sort of slippery punning - in and out of the text - may itself be an indicator of the post-classical: not as a style, and more as frame of mind, on the part of aficionados and analysts alike. There is certainly no shortage of this kind of bad and ingenious, profound, and facetious wordplay in the film, underscoring also Bruce Willis' star image as an irrepressible wisecracker in many of his roles before and since Die Hard. The trend is helped, as indicated, by the inroads that marketing experts have made on blockbuster productions, invariably launched with tag-lines and soundbites ('the hook'). But instead of calling them hooks or bylines, we have opted for the suspiciously semiotic term 'sliding signifier' to indicate a pun's variable relation between signifier and signified, where language exploits plurality on the side of the signifier (verbal or visual doublets) and the film exploits plurality on the side of the contexts (ambiguity, irony, and reversal allowing the signifieds to float). Although this is merely an extension of classical cinema's structural use of symmetry and repetition, such puns in the post-classical mode are at once staged and compressed, drawing attention to the device and to the reversibility of the relations and situations to which it points. By calling these moments of condensation sliding signifiers, we also want to note their 'mobility' and 'drift', since they not only slip and slide between different referents, as puns are meant to do, but also migrate from inside the film to its promotion and packaging, at times entering, as with McClane's war cry, the common parlance of popular culture. Finally, we also want to allude to (and salute) another widely held view about the post-classical, namely that surface extension, recto and verso are the principles that organize meaning, rather than depth and interiority. However, we emphatically wish to resist the prevailing notion that attention to surface must mean being intellectually or emotionally 'shallow'. A good example of the cinema working the verbal surface of a text are the names and the title. This is not specific to cinema, and even less so an exclusive mark of the post-classical. We only need to think of Charles Dickens's novels, where names such as Mr Gradgrind, Mrs Sparsit, Mr Bounderby, Mr Harthouse, and Mrs M'Choakumchild (from Hard Times) all by themselves define the moral atmosphere of a fictionally complete world. In the classical cinema, too, we could cite any number of instances, from the male chauvinistically named Mrs Ruttland in The Big Sleep to the middle initial 'O' in North By Northwest's Roger Thornhill. Kuntzel, in his essay on The Most Dangerous Game, pointed out the triple pun in the title, but he hardly needed to have bothered, since in the film the villain himself, Count Zaroff, takes time out to gloss the double entendre of 'game'. Again, while the post-classical does not break with this staple of popular fiction in any medium since times immemorial, it vigorously pushes the envelope. It is no accident that John [McClane] should have as his rival Hans [Gruber], when their Christian names are identical in their respective languages. McClane's name is associated with the Scottish word 'clan', i.e. 'family', which is close to the root meaning of his wife's maiden name, 'Genaro'. 'Holly', her first name, inevitably makes (Anglo-Americans) think of Christmas, while 'Tagaki', the name of her boss, apparently means 'tall tree' or paterfamilias in Japanese. Johnson and Johnson, the two FBI agents, certainly do not evoke baby powder, but possibly the name of the largest publisher of black American magazines, while Al Powell turns out to have real 'pal power' for John McClane. He also buys his sweets ('hostess cakes'), while one of the 'terrorists' (in between guarding the hostages) cannot resist the temptation to steal his sweets. In Die Hard ambiguity, polysemy, and irony also cluster around the title: ambiguous, in that a diehard is someone who does not give up easily, thus referring to McClane, but it can also mean someone who just refuses to die, which in the film applies to Gruber's out-of-control associate Karl, absurdly indestructible. Polysemic insofar as the word 'hard' refers to Bruce Willis's macho hard-body image as an action hero, to McClane being a hard man (by not saying sorry to his wife until it's almost too late), as well as to the role played by class in Die Hard (hard-hat - working class masculinity). Ironic, finally, in that - as Pfeil points out, by quoting Webster's Dictionary -'diehard' also means 'an extreme conservative', as if the film was cocking an ideological snook at its progressive critics. The puns do not have to be only verbal, though even the visual ones often require an implicit linguistic reference point: it being Christmas, the idea of snow is in the air, however incongruous this might be in Southern California, despite Bing Crosby's song or Argyle's scoffing. But in one of the first scenes inside the Nakatomi building, we see Ellis snorting coke ('snow'), and at the very end, the towering ruin of the Nakatomi building becomes itself something of a Christmas tree, from which thousands of sheets of paper, like flakes, are gently falling to the ground, giving John and Holly a white Christmas after all. The fact that such wordplay and visual punning permeate even the most seemingly insignificant features says much for the professionalism that goes into the making of Hollywood's 'dumb fun'. As a permanent meta-commentary in a minor key, it also reminds the audience of the film's particular rhetoric of generating meaning out of difference and similarity, metaphor and metonymy, preparing spectators for the introduction, for instance, of a special object, multiply motivated and radiating signifying power at different points and in different contexts. Such a symbolic - or totemic - object is Holly's Rolex watch. It condenses a whole range of motifs, from her rapid rise in the Corporation and her status as a professional woman to her ambivalent relations with Ellis, who keeps pushing her to show it off to McClane, half-proud of her, half-envious. But the Rolex moment of glory is when Holly has to part with it in order to save her life. When McClane finally sees it, it is only to release it from her wrist: symbolically charged icon of her independence, the watch enters the drama as a Hitchcock handcuff, in a situation where the choice is made easy: it's life or death. But the fact that Gruber clings to it is also like a displacement of Holly's desire to cling to it as a precious representation of her 'working mother' identity, so that it becomes doubly ironic that McClane is the one who snaps the Rolex off. These repeated appearances of the Rolex at different junctures in the plot make it function like a semantic battery, plugged into the narrative current, in order to be charged and recharged with meaning. In its way it, too, is a sliding signifier: never more so than when, along with Gruber, it slides off Holly's wrist. But let us pick a pun that at first does not seem to be one, and therefore needs special unpacking, because it is both a riddle and a mantra, the traditional ways of using enigmatic language for 'serious' (dramatic) purposes, and therefore once more not something unique to the post-classical. We are thinking of the piece of advice McClane receives on the plane: 'Curl your toes into a fist.' Well-meaning though it is, the mantra turns out to be disastrous as well as providential in a quite different context than that intended. Disastrous because, by following it, McClane is caught in the bathroom, not (like Vincent Vega in Pulp Fiction) with his pants down, but nonetheless with his socks down. Providential, in that his retreat to the bathroom means he escapes the roundup and the hostage taking. As argued in the classical analysis above, the phrase, however, also functions figuratively in a wider context, that of the central contradiction of the film between male and female, for which it already predicts and spells out the terms of its possible resolution. How so? By making use of the cultural connotations of the body parts which happen to be gender-specific. 'Fist', it is easy to see, suggests masculinity and violence, but what about 'toes'? 'Curl your toes' alludes to bound feet, with distinct female connotations. These are underlined when we think of the bandages McClane will have to wear later on, to stop the bleeding. The metonymies of toes/feet/soles/bleeding/bandages reinforce these associations of femininity, giving us a key as to the metaphoric significance of McClane's bleeding feet: they are part of his 'feminization', his painful journey to being able to say sorry, his having to learn to become vulnerable, to realize the in- and underside of his diehard obstinacy and hard-body masculine carapace. 'Curl your toes into a fist' has to be read inside out, back to front, in order to spell out the healing formula for McClane's dilemma as a macho: 'make toes out of your first', i.e. 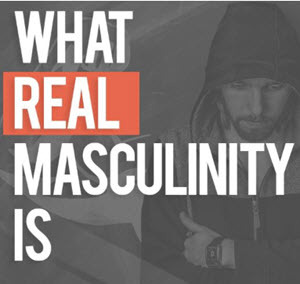 admit the female side of your masculinity, open up your violence to your vulnerability. In order to be a proper father/husband, the old macho has to become the new man - before he can become the new old macho again: these are the stages McClane emulates, and they follow the classic narrative triad of 'state of stasis/destabilization/ more fully resolved stasis' which Pfeil found lacking in Die Hard. Read prospectively, the advice predicts McClane's drama; read retrospectively (and in reverse, as a coded discourse around gender), the Asian-American's message, like the riddle of the Sphinx to Oedipus, like the Wise Man from the East (inscrutable being the appropriate cliché association), names his dilemma and gives him the terms of his possible redemption. A parallel regendering trajectory is undergone by Holly. She has to be stripped of all her (traditionally male) professional attributes: she starts off in control, and (like a man) takes over when her boss is shot. But when directly confronting Gruber, she 'reverts' to female demands: a sofa for her pregnant colleague and for the women to be allowed to go to the bathroom. She is then taken hostage not as the boss of her firm, but as wife of John McClane, once more becoming the stereotypical object of exchange between males. Then in another scene, she is shown sitting with the pregnant woman, acting as her maid or midwife. In the end, she gets John back, but is properly reduced to the role of mother and nurturer, with only one consolation: she does curl her 'toes' into a fist, when she socks the journalist on the jaw, just before walking away with McClane, the classical 'formation of the couple' having become a post-classical re-formation of the couple. In its bold associations, its 'trangressiveness', and yet also its thematic economy and power of compression, the toe/fist sliding signifier does indeed, we think, qualify as post-classical, at least in the way we have here been discussing it. Yet once again, it suggests that this 'post' is the same, but different, where 'different' may have to be understood in the (deconstructionist) sense of'deferred', as a delay, which is, after all, one of the meanings of the word 'post', marking a shift in temporality, rather than in substance or quality.